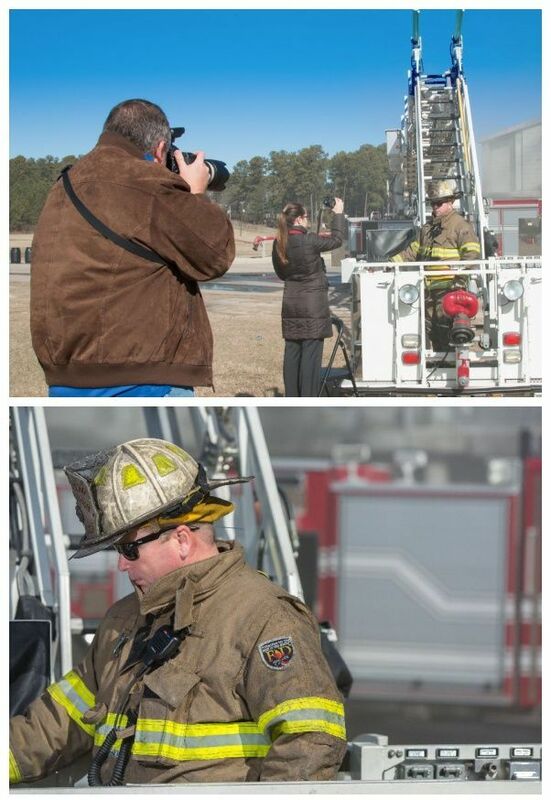 The top image above was taken by my equipment assistant, John, who is listed on the team page. The bottom image is one of several final images that I shot during this setup. In the first image, you'll see my primary assistant, Lindsay, who is also listed on the team page, holding a Canon 600 EX-RT Speedlite. Lindsay is pointing the speedlite at the subject to provide fill flash outside. I was standing about 25 feet away with my Canon 5D Mark III with the Canon 70-200mm f/2.8 lens and the Canon ST-E3-RT mounted on the hotshoe. The Canon ST-E3-RT communicates wirelessly with the Canon 600 EX-RT Speedlite. I was using TTL High Speed Sync mode rather than manual mode on the speedlite. Shooting out in the open like this scenario can be difficult when using studio strobes because of the sync speed issue. Even when the ISO is set to 100, the shutter speed will likely not get to 1/200th or less when the lens is set to f/5.6. That's the beauty of High Speed Sync: I was able to set the camera to AV mode which means that I set the f/stop like I wanted it and the camera chose the shutter speed. With High Speed Sync, I don't have to worry about the shutter speed being greater than 1/200th of a second when using flash outside. Yes, there are other ways to do the shot above like using a reflector or reflectors, but I like the simplicity of the way that I did this shot. I simply placed my assistant with one speedlite in her hands close to the subject and I set the camera to AV mode with the flash to High Speed Sync. It's that easy and it's not complicated. If you are a photographer and don't own a speedlite with TTL and High Speed Sync options, you may want to do some research into the best speedlite for your budget that offers both TTL and High Speed Sync. Currently, Canon's top speedlite is the Canon 600 EX-RT and Nikon's is the SB-910. Both are between $500-$550 each as of this writing. If you enjoyed this post, please use the SOCIAL ICONS below to SHARE IT!